The Print Studio at MAKE is home to screenprinting, film photography printing, laser cutting and engraving, and Risograph printing. It also hosts the Digital Lab with digital design software, as well as 9'x9' workspaces available for rent. In our print studio, we make posters, T-shirts, booklets, laser engravings, and other graphic pieces—and we teach you how to make them, too. We have the capacity to screen print on paper or fabric, make prints from film photography, create zines or unique printed material with our Risograph, and learn the digital design skills to bring inspired ideas to print. Every student that takes a class leaves with several of their own pieces. NOTE: This class is a pre-requisite for Intermediate Screen Printing. NOTE: This class is more hands-on than the Intro to Screen Printing Class, and we will be working exclusively with paper rather than shirts or other fabric (this keeps the cost down and allows for more trial and error). There are many types of longstitch bindings. In this class we will cover one of the most basic kinds sometimes called an Italian or slotted longstitch. This simple yet elegant binding is a favorite for my journals and accessible to all skill levels. We will be using covers made from board and book cloth, but once you learn this structure you can easily use other materials such leather, paper, or even vellum. 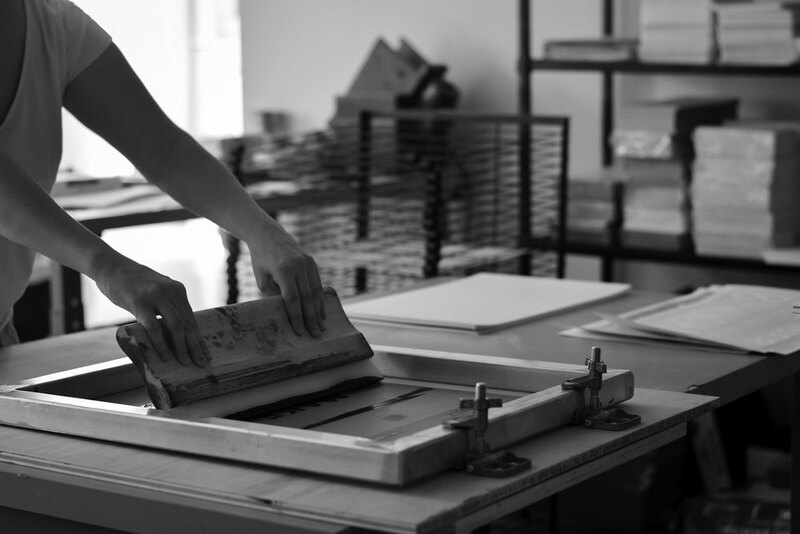 Join Sarah Heath in the print studio for an evening of block printing. You'll learn how to transfer and cut a custom design into your lino block. We will then discuss the basics of putting ink to paper and you'll become a printing machine making your very own valentines for all your loved ones.